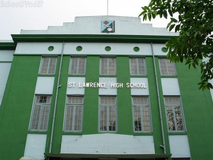 Find below the list of top schools in Elgin - Kolkata with phone number, address, 360° School tours, 2018-19 Admission forms & Fees, photos, facilities & more. The School, established in 1969, works in close partnership with students to develop their full and individual potential for life and work. The School is managed in association with Pearson Schools, the fastest growing chain of schools in India and a part of the world's leading learning company, Pearson. 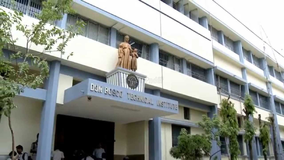 Sushila Birla Girls School is located in Elgin, Kolkata. It was established in 1994. This school follows the CBSE board. The school has English medium. The Bhawanipur Gujarati Society was founded in 1928. The name of the Society was changed to The Bhawanipur Gujarati Education Society. 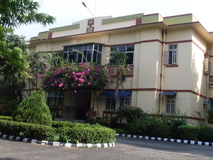 The Bhawanipur Gujarati Education Society School is affiliated to the Council for the Indian School Certificate Examinations, New Delhi and is a Co-Educational School. 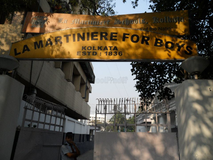 Abhinav Bharati High School is located in Park Circuis, Kolkata. It was established in 1945. This school follows the CBSE board. The school has English medium. The Heritage School Motto Is Atma Deepo Bhava or Be Your Own Light. The children at The Heritage School are encouraged to explore, reach out and seek answers for themselves.The Heritage School is a unique effort of imparting education combined with modern state of the art technology and expertise. The mission behind this day-boarding school is to provide a systematic and holistic education opportunity to students. You and your child deserve to be looking only at the top schools in Elgin - Kolkata. 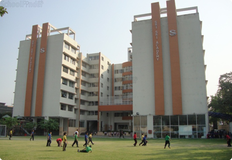 We at Sqoolz, have created an all-encompassing list of best schools in Elgin - Kolkata so that you can pick the one that is most suitable for your needs. Is the location viable? Is the school big enough? What additional facilities do they provide? Find answers to all the important questions with us. You can even take our virtual tour and see for yourself whether or not the school fits your child's needs.